Once you invest in a pressure washer, you realize it’s a tool you cannot live without. A pressure washer is a fantastic piece of outdoor equipment that allows you to clean a variety of items. 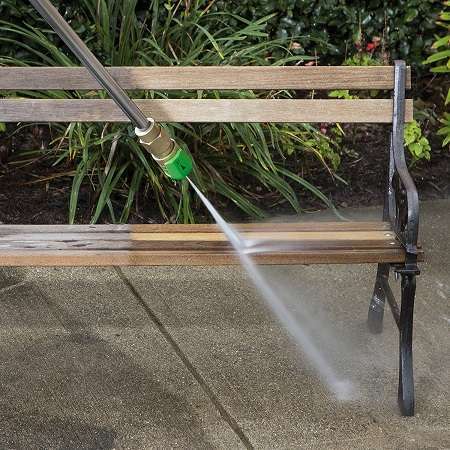 This machine works by delivering a fine spray of water at an alarmingly high pressure, cleaning dirt and grime from outdoor gardening tools, such as wooden decks, siding, fences and much more. Rest assured, these machines are available at an incredibly reasonable price and feature tons of different styles and models. This allows homeowners to conveniently select a machine that is best suited for them. When selecting in a pressure washer, homeowners can select from two types: an electric model and a gas one. Electric Pressure Washers are best suited for cleaning small items, such as pool areas, bikes, vehicle and backyard grills. These machines are more lightweight and portable compared to their gas counterparts. Many people prefer electric pressure washers since these are low maintenance machines and do not require you to spend money on gas and oil. Not to mention, these machines are often cheaper. However, a notable downside is that a power cord can be constraining and can limit mobility. When it comes to manufacturing the best electric pressure washers, Sun Joe is among the most reputable names in the industry. 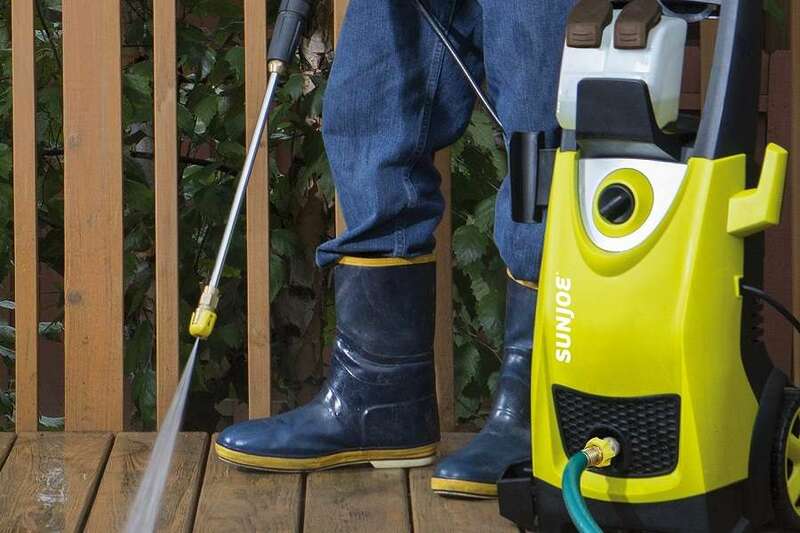 This Sun Joe Pressure washer is a #1 Best Seller on Amazon and is one of the most popular products in the market. The machine is a combination of versatility, flexibility and high-speed performance that won’t disappoint you. Versatility - The SPX3000 can be used for a variety of cleaning tasks, such as cleaning homes, RVs, boats, patios, lawn equipment, boats, driveways, trucks and more. This ensures you don’t have to invest in another device for heavy-duty cleaning. 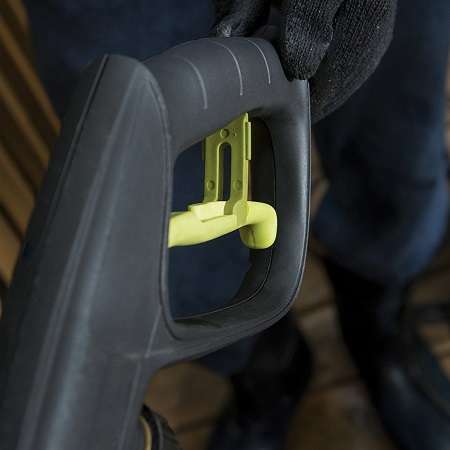 Five Quick Connect Spray Nozzles - This ingenious pressure washer allows consumers to tailor and customize the pressure output depending on your cleaning needs. The interchangeable nozzles include 0°, 15°, 25°, 40° and soap. Now, you can go from minimal pressure to high according to your specific cleaning needs. Maximum Cleaning Power - The powerful machine generates up to 2030 PSI of water pressure for maximum cleaning power. The machine features a heavy-duty 1800 Watt/14.5 amp motor that makes cleaning driveways a less tedious task. Duel Detergent Tank System - The SPX3000 features a duel detergent tank system that stores and carries two different types of detergents simultaneously. Homeowners can conveniently switch between detergents without a worry. Cleaning Made Easy - The powerful electric pressure washer features a quality 34-inch extension spray that makes it possible for you to conveniently clean hard-to-reach spots. This makes it easier for people to clean two storey buildings, lawn equipment and the undersides of automotive vehicles. You don’t have to worry about using a ladder or stepping on an elevated surface to get the job done. Safety Lock Switch - The SPX3000 features a handy safety lock switch, the ‘Total Stop System’ that automatically switches off the pump to save power and ensure the longevity of the machine. Includes Accessories - The machine comes with a number of accessories, including removable detergent tanks, a high-pressure hose, extension wands, a garden hose adapter, 5 quick connect spray tips, and much more. These handy accessories makes it much easier for homeowners to complete their cleaning tasks without any problems. The Sun Joe SPX3000 Electric Pressure Washer has received an average of 4.3 stars out of 5 on Amazon and is also a #1 Best Seller. This indicates a majority of customers was quite happy with the product and left positive reviews. Customers were happy that the machine is almost noiseless when compared to other pressure washers in the market. 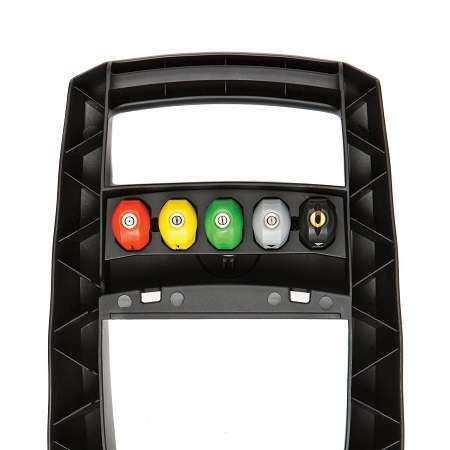 Customers also liked that the machine comes with several features and accessories. The hose is made using tough, durable materials that are sure to last. Additionally, the interchangeable nozzles are easy to change making cleaning a more convenient process. Customers were also pleased by how efficiently the brand responds to queries. You will also find numerous instructions and assembly guides on the brand’s official website. On the downside, customers complained the machine is not suitable for heavy-duty cleaning tasks and is best suited for cleaning small items. A customer wrote that while the electric pressure washer is suitable for most non-commercial tasks, it cannot be used for cleaning buildings since it does not have enough pressure power as these gas pressure washers do. 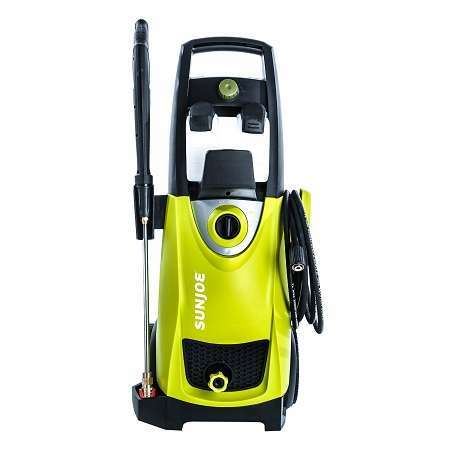 The Sun Joe SPX3000 Electric Pressure Washer can be purchased on Amazon for a reduced price of under $155 (5% off). To save a few bucks, consider looking out for promotional offers and discounts. Apart from Amazon, you can also purchase the product from eBay, Homedepot and Wal-Mart. Browse through these websites so you can purchase the product at the best price. Consider purchasing the electric pressure from Snow Joe’s official website. The brand offers several deals and discounts that you can take advantage of. The brand also offers free standard shipping on items that are priced above $75. If you have any questions, do not hesitate to leave a message or contact customer service for questions and queries. Overall, the SPX3000 is a great product that is available at a reasonable price. However, it is not suitable for heavy-duty tasks so keep this in mind before you make an investment. Consider investing in a gas-powered pressure washer if you want to clean your house or perform other tedious cleaning tasks that require more power.